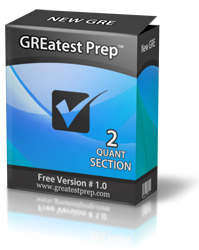 GREatest Prep GREatest Verbal Prep GREatest Quant Prep FREE Version Screenshots Why choose us? What you will gain? ✓ 5 complete section-adaptive tests + additional 5 quantitative section-adaptive tests. ✓ More than 600 problems (30 sections) with correct and fully explained answers. 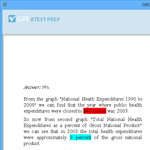 ✓ Section-adaptive algorithm that provides realistic GRE scores. ✓ Fully resembled real GRE General Test conditions. 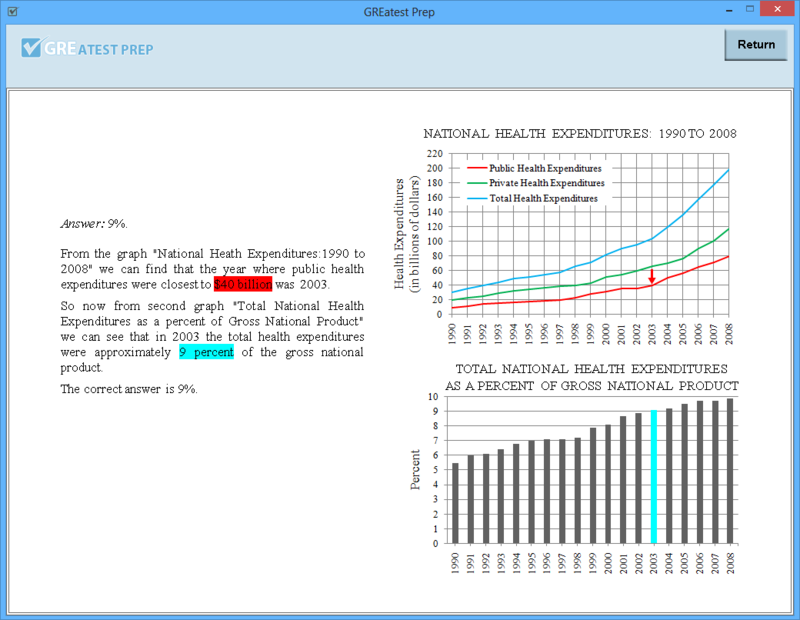 ✓ Advanced statistics to check your progress and identify weak skills. ✓ Runs smoothly on Windows, MacOS, and Linux via Adobe AIR technology. ✓ Completely offline, no need for Internet connection. 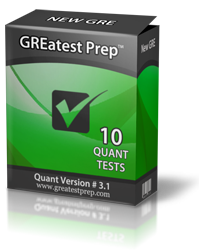 ✓ 10 quantitative section-adaptive tests for New GRE revised General Test. ✓ More than 400 problems (20 sections) with correct and fully explained answers. ✓ 5 verbal section-adaptive tests for New GRE revised General Test. ✓ More than 200 problems (10 sections) with correct and fully explained answers. 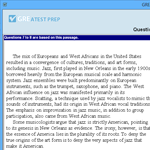 ✓ 1 verbal and 1 quantitative sections of New GRE revised General Test. ✓ 40 problems (2 sections) with correct and fully explained answers. ✓ Resembled real GRE General Test conditions except of section-adaptive algorithm. ✓ Completely offline, no need for Internet connection! ✓ 20 problems with solutions and complete explanations. 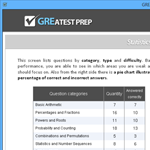 ✓ Useful strategies and tips on GRE calculator usage. 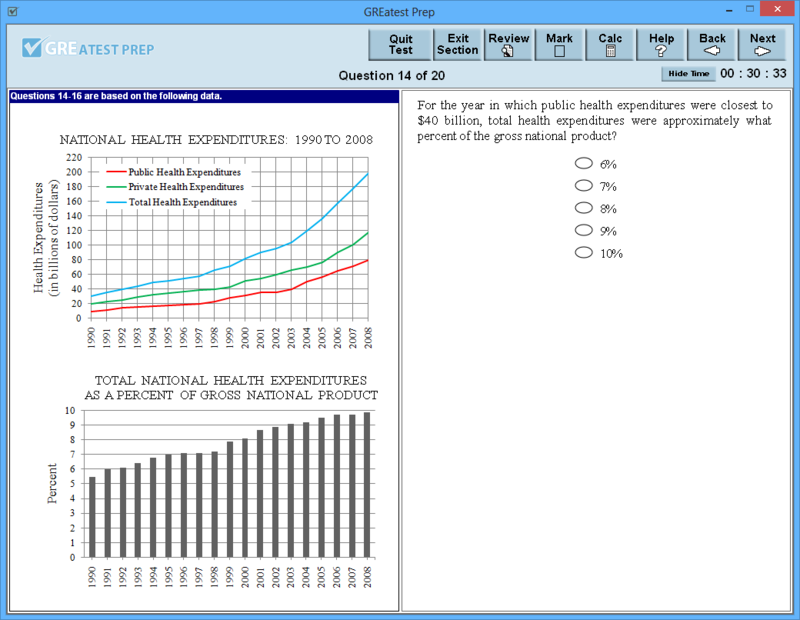 ✓ Resembles GRE test problem interface completely. ✓ Offline and Windows/Mac compatible via Adobe Air. 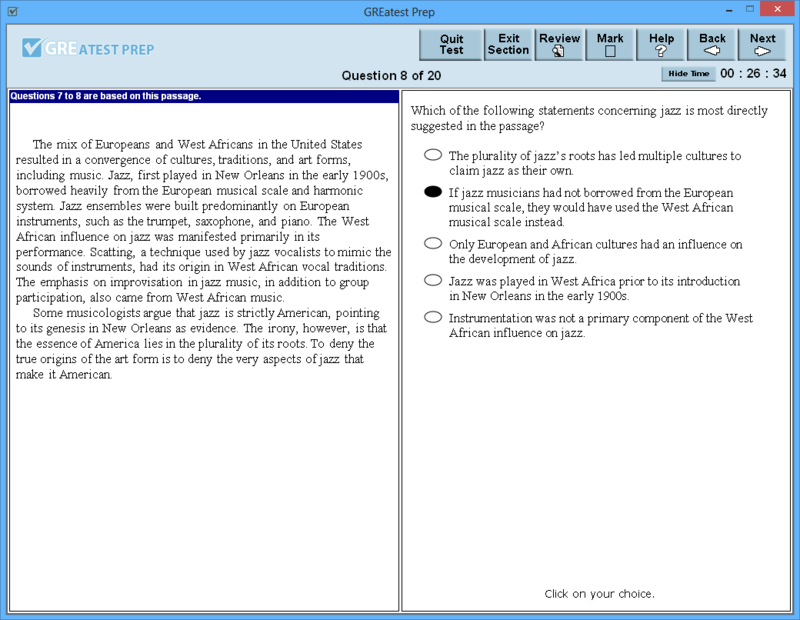 With many GRE preparation companies to choose from, there are a few reasons why test takers select our products. 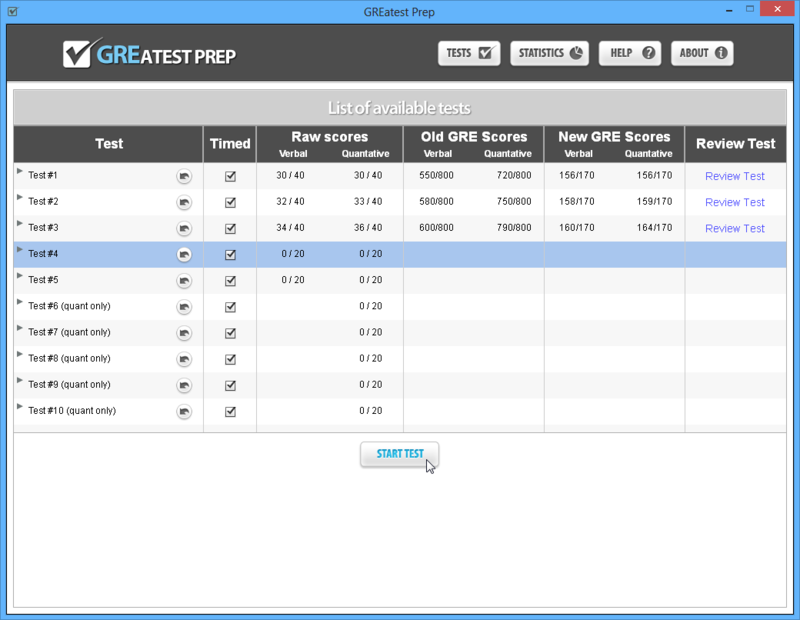 First of all, our GRE software completely resembles real GRE General Test with all the nuances of actual new format. We offer 5 complete-section adaptive tests with additional 5 quantitative tests which contain high-quality problems with correct answers and full explanations. Under such realistic conditions, you can practice without the usual financial and emotional risks or impact on your historical score report. The other reason why you should stay with us is that we keep it simple and low-cost. Our developer team did their best to create the product that will run completely offline on every OS. And affordable price will make it possible for each student to have a fair chance at getting his/her highest possible score. 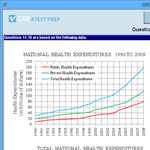 If you're still not sure whether you need our GRE test simulator, we suggest you check out why GREatest Prep is must-have for your GRE preparations. Besides obvious benefits, you will also increase your problem-solving speed, build self-confidence, improve time management, and gain valuable experience. Your biggest enemy on GRE is time! 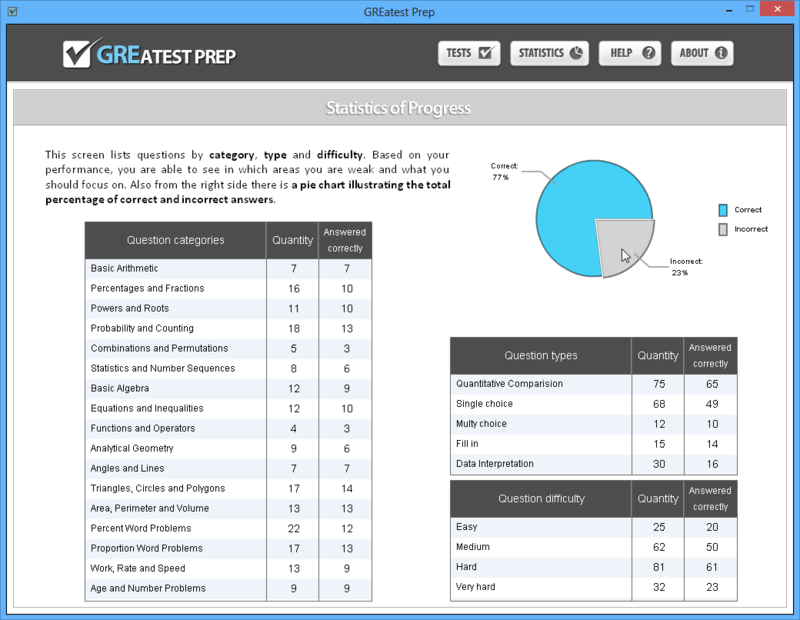 Even if you have all the verbal and quantitative knowledge to pass the exam, but your problem-solving speed is too low, you're not going to score well on GRE. Only by practicing under real conditions you'll become aware of how much time you have taken to answer each question. And soon you'll begin to develop an "internal clock" that will help you meet the pacing requirements of GRE and improve your time management. Another powerful enemy that can hurt your performance on GRE is stress! For almost 4 hours you'll be under constant pressure, and it will be crucial for you to stay focused and work quickly. You will need to be able to switch between subjects promptly without confusing yourself. You'll only handle it well if you have enough practice experience. 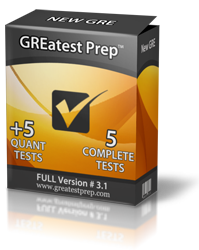 Our GRE Practice Tests will help you to feel more confident during the actual GRE.